Looks great!!! 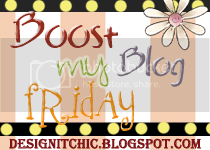 I’m your newest follower from the You Like Me Friday Blog Hop. If you get a minute please drop by and follow back. Have a super weekend! I’m your newest follower from the Boost your Blog hop. Love your layout and blog title! Look forward to future posts!